Ms. McCarty is widely regarded as a leading guardianship and probate attorney in the Chicagoland area. She has litigated well over a thousand guardianship cases, routinely obtaining favorable rulings for her clients in often complex and difficult matters. Her background as a former Assistant Public Guardian makes her especially skilled at pursuing cases involving abuse, neglect, and financial exploitation of both adults with disabilities and minors. 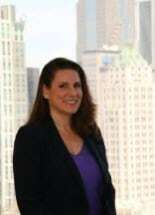 She has litigated numerous exploitation cases that have resulted in significant financial recovery on behalf of persons with disabilities, and she regularly pursues orders of protection and citations on behalf of her clients. In addition to guardianship and probate, Ms. McCarty’s areas of practice include child welfare and juvenile law, elder law, mental health and confidentiality, litigation and appeals. As part of her legal services, she works with over 70 hospitals and health care agencies, assisting them with all of their surrogate decision making, child welfare and mental health matters. Whether appealing DCFS findings, arguing the confidentiality of custody records in the circuit and appellate courts, or handling the countless other cases she pursues, Ms. McCarty is a fierce and compassionate advocate for her clients. Ms. McCarty is an Adjunct Professor at Loyola University Chicago School of Law, where she has taught mental health law for over seven years. She is former Chair of the Chicago Bar Association’s Mental Health Law Committee and serves as member and legal advisor to the adult protective services M-Team for both PLOWS Council on Aging and the Sinai Institute. She routinely provides in-service trainings and presentations on a wide range of topics, such as guardianship, surrogate decision making, elder law, child welfare, and mental health and confidentiality.